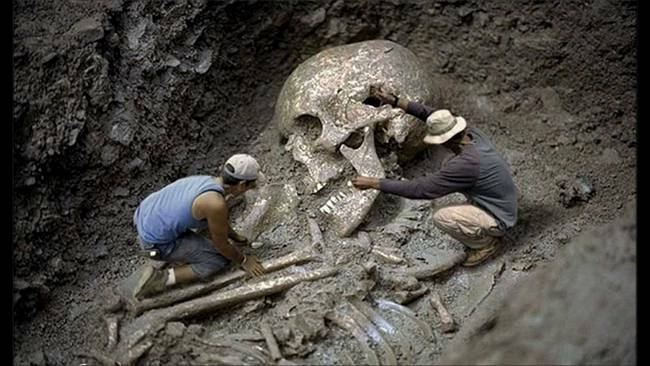 Archaeology: The remains of giants have been found all over the world, and hidden from the public. Why? 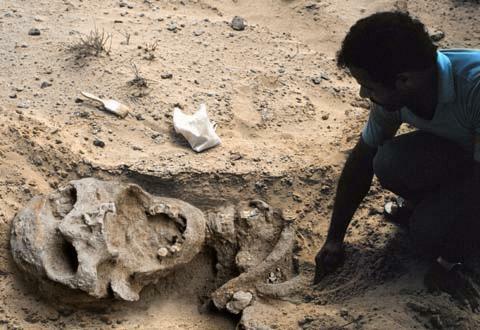 The video above goes over a series of evidences of giant human looking skeletons found in different parts of the world. The Book of Giants enlarges on the mention in Genesis 6:4 of giants being “in the earth”. A few little-known texts about Enoch were discovered at Qumran. One of the most important of these is a fragment of The Book of Giants. According to The Book of Enoch, the mingling of fallen angels and humans created the Nephilim or Giant. The offspring of these unnatural unions were giants 350 eles high. In the Book of Enoch the fallen angels and the giants began to oppress the human population and to teach them to do evil. For this reason God brought about the flood, and imprisoned the fallen angels until the final judgment. Genesis chapter 6 tells us, “There were giants in the earth in those days, and afterwards”. This one little verse says quite a lot. What does God mean when he said there were “giants” here on Earth? We have already seen how the pre-Flood world gave the ideal conditions for long life and huge growth, which we also know from the dinosaur, plant, insect and other fossils. But what about humans? We know the lived very long by the genealogies of Genesis (e.g. Adam lived 930 years). Would they, too, continue to grow very large? Ron Wyatt, on one of his first trips to the Ark site, discovered Noah’s house and the grave of his wife, Mrs. Noah. He claims the sarcophagus was 18 feet tall. Now when we hear this, we think it to be incredulous. But is it really? What would we expect a 900 year old person to look like, who lived in a much better environment than ours? Would we expect them to be exactly like us, or different? I would certainly expect them to be different. 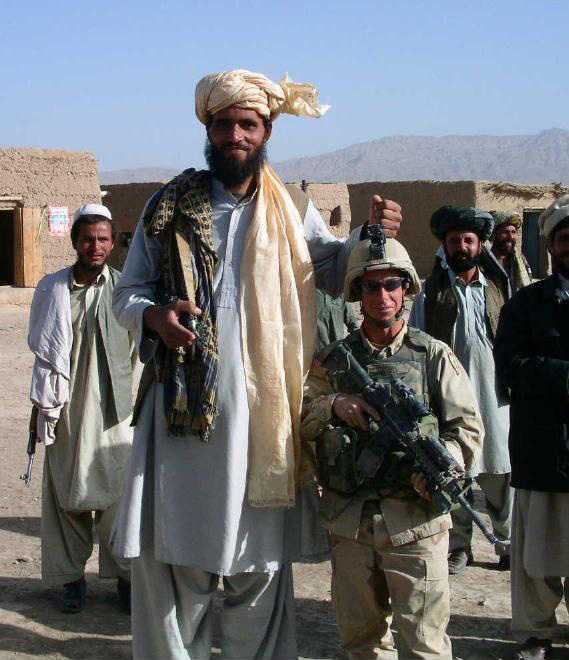 And the Bible says “there were giants in those days”. So according to our best and most reliable source – the Bible – we should expect them to have been very large indeed (the Bible never exagerates). So what does the fossil record show? Well this is where things get interesting. Giant ancient humans would fly in the face of evolution. It would show that we have actually devolved, not evolved. Since the 1800’s, there have been many written accounts of giant human fossils having been found. Additionally, very large tools have been found, which only very large people could have used. There are a few photos of giant skeletons out there on the Web, but I am rather cautious about displaying any such photos not knowing if they were photoshop creations. But there are few that appear to be genuine. Of course, the ‘believability’ for a Bible literalist is a somewhat less daunting proposition: We know these giants have existed. In fact, since we know the world was amply populated with these creatures before the flood, we should be asking why all this evidence you’re about to read of hasn’t been made common knowledge. 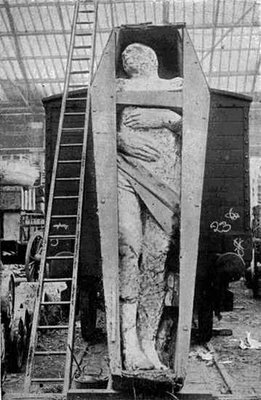 This photo of a ‘fossilized Irish giant’ was taken at a London rail depot, and appeared in the December 1895 issue of Strand Magazine. 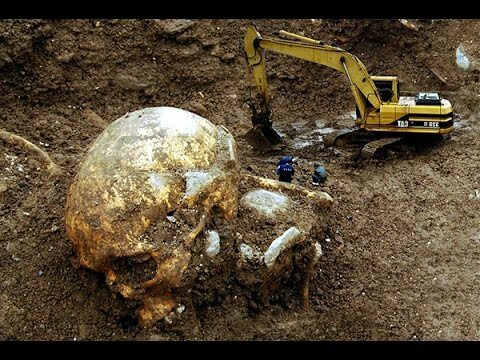 The giant was allegedly dug up by a Mr Dyer while prospecting for iron ore in County Antrim (Ireland). It was 12 ft 2 in (3.71 m) tall, weighed 2 tonnes, and had 6 toes on its right foot. After being exhibited in Dublin, it was brought to England and exhibited in Liverpool and Manchester at sixpence a head, ‘attracting scientific men as well as gaping sightseers’. After a legal dispute over ownership, nothing more appears to have been heard or seen of the exhibit. 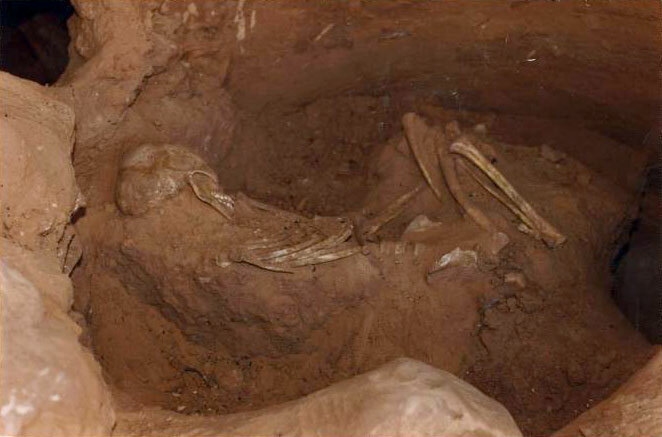 These remains were discovered by Saudi oil industry technicians. He or she stood between 15 and 20 feet tall. The weathering on it is consistent with the technician’s description that the skull was originally found partially uncovered by the winds. You can read the background details about the photo here. in the Cleveland National Forest. 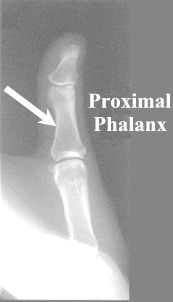 On the left is a photo of a human thumb bone, called the Proxima Phalanx and which is the joint below the joint containing the thumbnail. 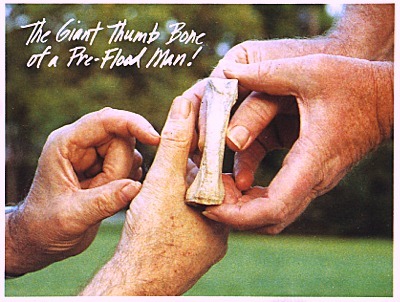 Note that the size of this particular phalanx bone is at least twice the length of the gentleman’s holding the fossil. An x-ray of a typical man’s hand and the position of the bone in question is shown on the right. Just to make sure that we are clear, the bone joint in the photo is the middle joint of the thumb only. You can do your own math as to the possible size of the owner of the fossil thumb in life. 2) the Smithsonian Institute, National Geographic, the Discovery Channel (et al) and any of the ‘officially sanctioned’ archaeological expedition teams…between the whole lot of them…have supposedly not been able to cough up one single solitary bone fragment, fossil, or artifact that would evidence these Nephilim. Has the (elite-controlled) academic mainstream covered something up? Well-known zoologist Ivan T. Sanderson (a frequent guest on Johnny Carson’s TONIGHT SHOW in the 1960s–usually with exotic animals) reported that in 1944 (during World War II), an army engineer with whom he corresponded told of how his crew had been bulldozing through sedimentary rock when it stumbled upon what appeared to be a graveyard. In it were crania that measured from 22 to 24 inches from base to crown nearly three times as large as an adult human skull. Had the humans to which these skulls belonged been properly proportioned, they undoubtedly would have been at least 12 feet tall or taller. He delivered the evidence to the Smithsonian Institute….where it was never heard nor seen again. Sanderson was quite puzzled by this and later wrote: “…is it that these people cannot face rewriting all the textbooks?”. There are reports regarding the Smithsonian Institute receiving extraordinary artifacts and evidence of this nature from dutiful citizens who thought they were handing over their findings to the highest and most reliable authorities…only to realize later that Smithsonian had made it all ‘disappear’. Hollywood has even made a veiled (snickering?) 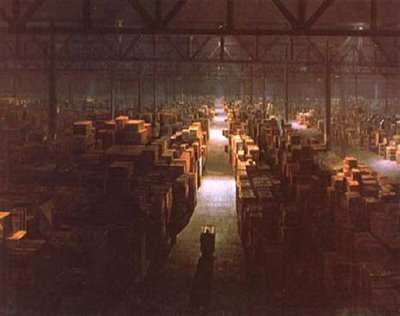 reference to this bizarre trend: Recall the famous Smithsonian warehouse scene at the end of the Indiana Jones movie. One such report from a former employee of the Smithsonian (who lost his job because of his opposition to their strange policy), tells of one occasion where the Smithsonian people actually took a barge full of extraordinary artifacts out into the ocean where they dumped it. Click here for a brief history of archaeological cover-ups. Click here for a listing of many giant bones reports from around the world. 10 feet tall and weighing 1,000 pounds. The human foot is that of an average female size 8.5. The casting is courtesy of Mt. Blanco Museum, Crosbyton TX. From the biblical perspective isn’t it a rather simple matter to figure out what is going on here?– Lucifer is all about ‘deception’ and he can ill afford to have all this confirmation of the veracity of ancient Bible stories. The difficulty factor in arguing against the Bible’s credibility would take a quantum leap if there were museums full of Nephilim fossils and artifacts all around the world. We wouldn’t expect the Devil – the Great Deceiver – to want us to know about any giant human fossils. Just like he has managed to keep the other great Bible discoveries from the world, we would expect the same with this. No, the devil has gotten everyone to believe in evolution (the great delusion). One of the things I hope we have all realized from this website is the relative ease with which the “powers that be” can successfully keep major facts from the general public. The information in page serves as one example of the Devil’s ability to accomplish globe-spanning deception and cover-ups. unknown species according to science. In fact according to science they do not exist at all but for the fact that they are viewable today. 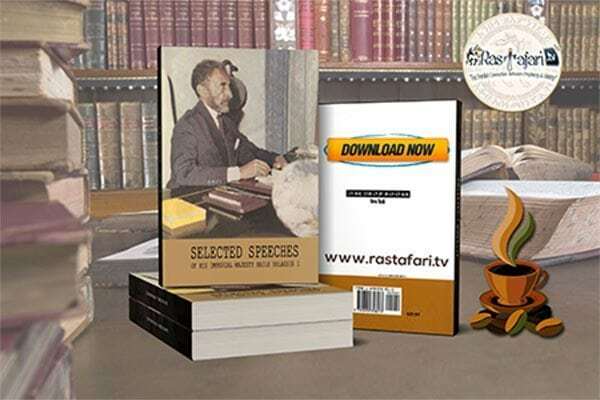 – From records and sources all over the world. In his book, The Natural and Aboriginal History of Tennessee, author John Haywood describes “very large” bones in stone graves found in Williamson County, Tennessee, in 1821. In White County, Tennessee, an “ancient fortification” contained skeletons of gigantic stature averaging at least 7 feet in length. Giant skeletons were found in the mid-1800s near Rutland and Rodman, New York. J.N. DeHart, M.D. found vertebrae “larger than those of the present type” in Wisconsin mounds in 1876. W.H.R. Lykins uncovered skull bones “of great size and thickness” in mounds of Kansas City area in 1877. George W. Hill, M.D., dug out a skeleton “of unusual size” in a mound of Ashland County, Ohio. In 1879, a nine-foot, eight-inch skeleton wasexcavated from a mound near Brewersville, Indiana (Indianapolis News, Nov 10, 1975). A six foot, six inch skeleton was found in a Utah mound. This was at least a foot taller than the average Indian height in the area, and these natives- what few there were of them -were not mound builders. “A skeleton which is reported to have been of enormous dimensions” was found in a clay coffin, with a sandstone slab containing hieroglyphics, during mound explorations by a Dr Everhart near Zanesville, Ohio. (American Antiquarian, v3, 1880, pg61). Ten skeletons “of both sexes and of gigantic size” were taken from a mound at Warren, Minnesota, 1883. (St. Paul Pioneer Press, May 23, 1883) A skeleton 7 feet 6 inches long was found in a massive stone structure that was likened to a temple chamber within a mound in Kanawha County, West Virginia, in 1884. (American Antiquarian, v6, 1884 133f. Cyrus Thomas, Report on Mound Explorations of the Bureau of Ethnology, 12th Annual Report, Smithsonian Bureau of Ethnology, 1890-91). A large mound near Gasterville, Pennsylvania, contained a vault in which was found a skeleton measuring 7 feet 2 inches. Inscriptions were carved on the vault. (American Antiquarian, v7, 1885, 52f). In 1885, miners discovered the mummified remains of woman measuring 6 feet 8 inches tall holding an infant. The mummies were found in a cave behind a wall of rock in the Yosemite Valley. In Minnesota, 1888, were discovered remains of seven skeletons 7 to 8 feet tall. (St. Paul Pioneer Press, June 29, 1888). A mound near Toledo, Ohio, held 20 skeletons, seated and facing east with jaws and teeth “twice as large as those of present day people,” and besides each was a large bowl with “curiously wrought hieroglyphic figures.” (Chicago Record, Oct. 24, 1895; cited by Ron G. Dobbins, NEARA Journal, v13, fall 1978). The skeleton of a huge man was uncovered at the Beckley farm, Lake Koronis, Minnesota; while at Moose Island and Pine City, bones of other giants came to light. (St. Paul Globe, Aug. 12, 1896). 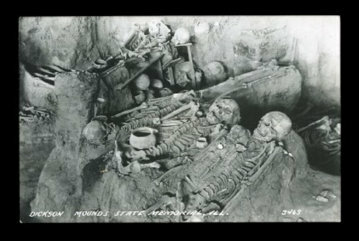 In 1911, several red-haired mummies ranging from 6 and a half feet to 8 feet tall were discovered in a cave in Lovelock, Nevada. In February and June of 1931, large skeletons were found in the Humboldt lake bed near Lovelock, Nevada. The first of these two skeletons found measured 8 1/2 feet tall and appeared to have been wrapped in a gum-covered fabric similiar to the Egyptian manner. The second skeleton was almost 10 feet long. (Review – Miner, June 19, 1931). A 7 foot 7 inch skeleton was reported to have been found on the Friedman ranch, near Lovelock, Nevada, in 1939. (Review – Miner, Sept. 29, 1939) In 1965, a skeleton measuring 8 feet 9 inches was found buried under a rock ledge along the Holly Creek in east-central Kentucky. There was a race or group of people found in Australia called “meganthropus” by anthropologists. These people were of very large size–estimated between 7 to 12 feet tall, depending on what source you read. These people were found with mega tool artifacts, so their humaness is difficult to question. 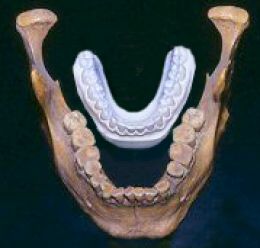 Four jaw fragments and thousands of teeth have been found in China of “gigantopithecus blacki”–named after the discover. Based on the size of the teeth and deep jaws, its size has been estimated at around 10 feet and as tall as 12 feet, 1200 pounds. In old river gravels near Bathurst, NSW, huge stone artifacts — clubs, pounders, adzes, chisels, knives and hand axes — all of tremendous weight, lie scattered over a wide area. These weigh anything from 8, 10, 15, to 21 and 25 pounds, implements which only men of tremendous proportions could possibly have made and used. Estimates for the actual size of these men range from 10 to 12 feet tall and over, weighing from 500 to 600 lbs. A fossicker searching the Winburndale River north of Bathurst discovered a large quartzitised fossil human molar tooth, far too big for any normal modern man. A similar find was made near Dubbo, N.S.W. Prospectors working in the Bathurst district in the 1930’s frequently reported coming across numerous large human footprints fossilised in shoals of red jasper. Even more impressive were fossil deposits found by naturalist Rex Gilroy around Bathurst. He excavated from a depth of 6 feet (2 m) below the surface a fossil lower back molar tooth measuring 67 mm. in length by 50mm. x 42 mm. across the crown. If his measurements are correct, the owner would have been at least 25 ft. tall, weighing well over 1,000 lbs! At Gympie, Queensland, a farmer, Keith Walker, was ploughing his field when he turned up the large fragment of the back portion of a jaw which still possessed the hollow for a missing lower back molar tooth. This is now in Rex GiIroy’s possession. The owner of the tooth would have stood at 10 feet tall. In the Megalong Valley in the Blue Mountains NSW, a Mr P. Holman found in ironstone protruding from a creek bank the deeply impressed print of a large human-like foot. The print was that of the instep, with all 5 toes clearly shown. This footprint measures 7 inches across the toes. Had the footprint been complete it would have been at least 2 feet (60 cm in length, appropriate to a 12 foot human. However, the largest footprint found on the Blue Mountains must have belonged to a man 20 feet tall! A set of 3 huge footprints was discovered near Mulgoa, south of Penrith, N.S.W. These prints, each measuring 2 ft long and 7 inches across the toes, are 6 ft. apart, indicating the stride of the 12 ft. giant who left them. These prints were preserved by volcanic lava and ash flows which “occurred millions of years” before man is supposed to have appeared on the Australian continent (if one is to believe the evolutionary theory): Noel Reeves found monstrous footprints near Kempsey, N.S.W. in sandstone beds on the Upper Macleay River. One print shows toe 4 inches (10cm) long and the total toe-span is 10 inches (25cm) – suggesting that the owner of the print may have been 17 feet tall. In an old book entitled “History And Antiquities Of Allerdale,” there is an account of a giant found in Cumberland, England, at an unknown date in the middle ages. Called “A True Report of Hugh Hodson, of Thorneway,” it states: “The said gyant was buried four yards deep in the ground, which is now a corn field. He was four yards and a half long, and was in complete armor; his sword and battle-axe lying by him….his teeth were six inches long, and two inches broad….” The bones of a twelve foot tall man were dug up in 1833 by a group of soldiers at Lompock Rancho, California. The skeleton was surrounded by giant weapons, and the skull featured a double row of teeth. Yet another giant was unearthed in 1891, when workmen in Crittenden, Arizona excavated a huge stone coffin that had evidently once held the body of a man 12 feet tall. A carving on the granite case indicated that he had six toes. Pennsylvania, on August 19, 1973. A man at least nine feet tall strode down the main street of the village, dressed in strange clothing, which appeared to be made of some sort of shimmering material. He gazed at the startled townspeople in a dark, penetrating way and then loped off casually into oblivion. outcroppings in a desolate, hilly area near the head of Spring Valley, not far from Eureka, Nevada. Scanning the rocks, one of the men spotted something peculiar projecting from a high ledge. Climbing up to get a better look, the prospector was surprised to find a human leg bone and knee cap sticking out of solid rock. He called to his companions, and together they dislodged the oddity with picks. Realizing they had a most unusual find, the men brought it into Eureka, where it was placed on display. The stone in which the bones were embedded was a hard, dark red quartzite, and the bones themselves were almost black with carbonization – indicative of great age. When the surrounding stone was carefully chipped away, the specimen was found to be composed of a leg bone broken off four inches above the knee, the knee cap and joint, the lower leg bones, and the complete bones of the foot. Several medical doctors examined the remains, and were convinced that anatomically they had indeed once belonged to a human being, and a very modern-looking one. In 1936 Larson Kohl, the German paleontologist and anthropologist, found the bones of gigantic men on the shore of Lake Elyasi in Central Africa. Other giant skeletons were later found in Hava, the Transvaal and China. The evidence for the existence of giants is incontrovertible. “A scientifically assured fact,” says Dr. Louis Burkhalter. 1. Large bones in stone graves in Williamson County and White County, Tennessee. Discovered in the early 1800s, the average stature of these giants was 7 feet tall. 2. Giant skeletons found in the mid-1800s in New York state near Rutland and Rodman. 3. In 1833, soldiers digging at Lompock Rancho, California, discovered a male skeleton 12 feet tall. The skeleton was surrounded by caved shells, stone axes, other artifacts. The skeleton had double rows of upper and lower teeth. Unfortunately, this body was secretly buried because the local Indians became upset about the remains. 4. A giant skull and vertebrae found in Wisconsin and Kansas City. 5. A giant found off the California Coast on Santa Rosa Island in the 1800s was distinguished by its double rows of teeth. 6. A 9-foot, 8-inch skeleton was excavated from a mount near Brewersville, Indiana, in 1879. 7. Skeletons of “enormous dimensions” were found in mounds near Zanesville, Ohio, and Warren, Minnesota, in the 1880s. 8. In Clearwater Minnesota, the skeletons of seven giants were found in mounds. These had receding foreheads and complete double dentition. 9. At Le Crescent, Wisconsin, mounds were found to contain giant bones. Five miles north near Dresbach, the bones of people over 8 feet tall were found. 11. Near Toledo, Ohio, 20 skeletons were discovered with jaws and teeth “twice as large as those of present day people.” The account also noted that odd hieroglyphics were found with the bodies. 14. In 1931, skeletons from 8 ½ to 10 feet long were found in the Humbolt lake bed in California. 15. In 1932, Ellis Wright found human tracks in the gypsum rock at White Sands, New Mexico. His discovery was later backed up by Fred Arthur, Supervisor of the Lincoln National Park and others who reported that each footprint was 22 inches long and from 8 to 10 inches wide. 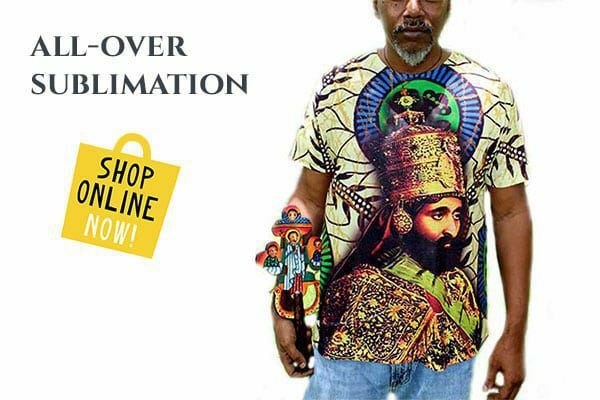 They were certain the prints were human in origin due to the outline of the perfect prints coupled with a readily apparent instep. 16. During World War II, author Ivan T. Sanderson tells of how his crew was bulldozing through sedimentary rock when it stumbled upon what appeared to be a graveyard. In it were crania that measured from 22 to 24 inches from base to crown nearly three times as large as an adult human skull. Had the creatures to whom these skulls belonged been properly proportioned, they undoubtedly would have been at least 12 feet tall or taller. skeletons by amateur archeologists working in Death Valley. 18. The archeologists involved also claimed to have found what appeared to be the bones of tigers and dinosaurs with the human remains. 19. The Catalina Islands, off California, are the home of dwarf mammoth bones that were once roasted in ancient fire pits. These were roasted and eaten by human-like creatures who were giants with double rows of teeth. Kossuth: October was a month of some excitement in scientific circles as seven strange and gigantic mummies were discovered just outside of Kossuth Center. Marvin Rainwater, a local farmer, had been digging a new well on his property and struck a deposit of very hard stone about nine feet below the topsoil. In attempting to dig it out, he found that it was more than four feet wide in every direction. Removing it would be a terrific chore. He considered the possibility that this was a layer of bedrock, but that would certainly be odd that close to the surface. Further, being somewhat familiar with geologic deposits, he knew that the stone was not the familiar limestone for which such Eastern Iowa areas like Stone City are famous. This was something else entirely. Upon close inspection Rainwater also saw that the stone was not as rough as might be expected in a natural formation, but was in fact smooth and polished. Now very curious as to the nature of the find, he called several friends from surrounding farms and they began an excavation. They discovered that it was not a single stone, but rather one of at least several irregularly cut slabs stretching out over a wide area, yet fitted so tightly together that not even a knife blade could be put between them. Each slab measured roughly 8’x10′, and when struck with a sledge seemed to ring with a hollowness that might indicate this was not a floor but the outside portion of a ceiling. Rainwater wondered if he had not stumbled upon some sort of buried stone structure on his property. Believing that there might be a way to parlay living other than farming if he played his cards right, Mr. Rainwater contacted Georg Von Podebrad College, who in turn dispatched a team of archeologists, anthropologists, and geologists to the site. The researchers were delighted with the anomalies presented them. Firstly, the stone was not at all native to Iowa, but was in fact basalt-a hard, dense volcanic rock composed of plagioclase, augite, and magnetite. The type of stone used by the Egyptians to build their massive monuments. The depth of the slabs indicated that they had been there for a very long time, predating the advent of the kind of modern transportation and heavy machinery needed to bring such a large quantity of foreign stone to Iowa, and quite probably the slabs had been laid down before the last glacial age. It is impossible to gauge with any certainty just how long they had been there. After the soil covering the slabs had been entirely removed, the area covered by the stones was a perfect square measuring 188 feet on each side. Digging around the perimeter revealed that Rainwater had been correct, the structure did go deeper into the ground. The cyclopean structure was revealed to be a pyramid similar in shape to one located at Marietta, Ohio, although those mounds and monuments erected by the prehistoric Indians were made of sun dried brick mixed with rushes. This technique, too, is curiously similar to the Egyptian technique of brick making with straw and mud. It took many months, but the entire structure was finally exposed, and on the eastern side was found a massive filled in archway with strong resemblance to those of ancient Greece. At the bottom of the arch was a smaller arch, measuring only 6′ to the capstone. This too had been filled in and blocked off. With genuine awe and some hesitancy the scientists of the Rainwater Site began the work of opening the smaller entryway, wondering what light from the first torch penetrated the gloom of the ancient structure, Albert Grosslockner gasped at what he thought were seven huge and exquisitely detailed statues seated in a ring around a very large and deep fire pit. Moving closer, he realized that the figures were not carved of stone, but were in fact the mummified remains of some giant humanoid race. Could what they found be in fact a prehistoric burial vault for some pre-human creatures or was it a prison designed to hold some freakish aberration of nature? The figures, were each fully ten feet tall even when measured seated in their cross-legged positions. They all faced into the circle with arms folded across their legs. Upon close examination it was seen that they had double rows of teeth in their upper and lower jaws. 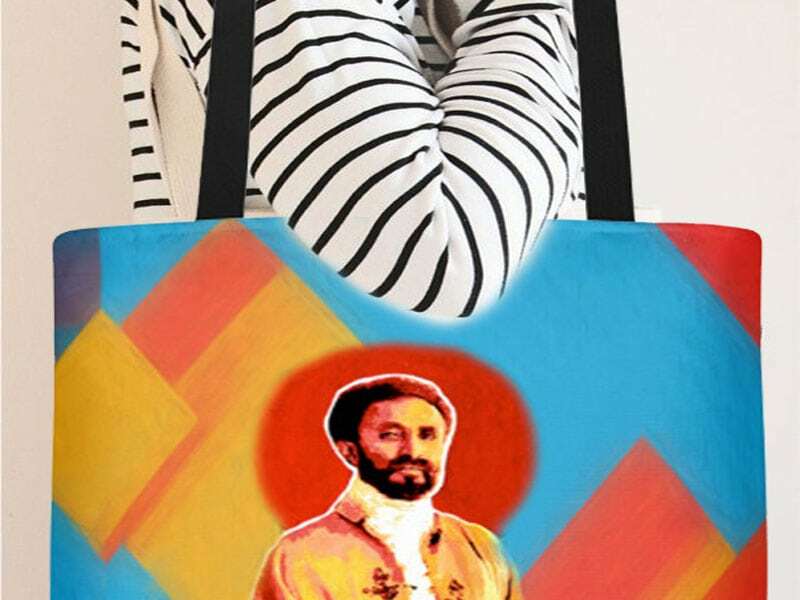 The foreheads were unusually low and sloping, with exceedingly prominent brows. The skin of the mysterious giants was wrinkled and tough, as though tanned, and the hair of each of them was distinctly red in color. Their faces, still very expressive even in death, taunted the scientists with their silence. Who, or what, were these creatures, how had they come to be locked in this stone room, and where had the stone itself come from originally? After careful excavation of the site, the bodies were removed for x-ray and autopsy examination. The excitement over the find was far in excess of the “Gypsum Man” find in Iowa so many years before-a hoax from which the Putnam Museum of Davenport had never fully recovered from. These giants were very real. The medical examinations demonstrated that there was definite skeletal structure, that they were organic creatures who had once been very much alive. One explanation for the mummies might lie in the legends of the Paiute Indians who tell of a race of red-haired giants who were their mortal enemies centuries ago. They were called the Si-Te-Cahs, driven from Nevada by a previously unheard of alliance of tribes. Did the Si-Te-Cahs retreat from the west to Iowa? Was the stone structure here before and simply co-opted by the giants? No one may ever know, however it is interesting to note that among the Indian relics held in the Kossuth County chapter of the State Historical Society are three robes made entirely from very long strands of red hair. We await DNA comparisons of samples taken from the mummies and the robes to determine a connection. In the mean-time, Marvin Rainwater has had his farm purchased by interested parties in Hopkins Grove for an undisclosed sum, and is quite happily no longer toiling in his fields or digging wells. Ivan T. Sanderson, a well-known zoologist and frequent guest on Johnny Carson’s TONIGHT SHOW in the 1960s (usually with an exotic animal with a pangolin or a lemur), once related a curious story about a letter he received regarding an engineer who was stationed on the Aleutian island of Shemya during World War II. While building an airstrip, his crew bulldozed a group of hills and discovered under several sedimentary layers what appeared to be human remains. The Alaskan mound was in fact a graveyard of gigantic human remains, consisting of crania and long leg bones. 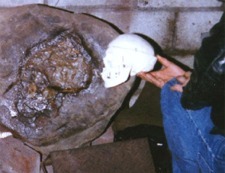 The crania measured from 22 to 24 inches from base to crown. 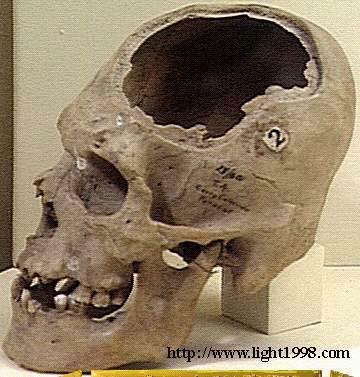 Since an adult skull normally measures about eight inches from back to front, such a large crania would imply an immense size for a normally proportioned human. Furthermore, every skull was said to have been neatly trepanned (a process of cutting a hole in the upper portion of the skull). In South Africa, a giant footprint of a woman measuring over 4 feet long has been carbon dated at approximately 9 million years old. Pointing to the probability of this being a female human-like species’ foot, proportionally the two-legged being would need to be some 30 feet tall! The local African people commonly refer to this as a highly revered and sacred site. Giants, twice the size of gorillas, were found in Java. 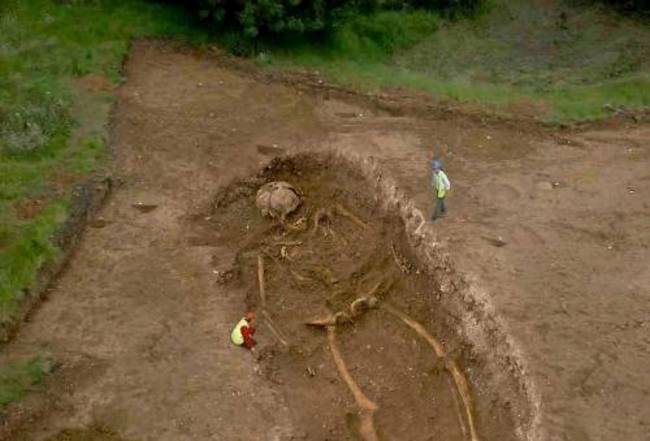 The petrified remains of a giant were found in South Africa. 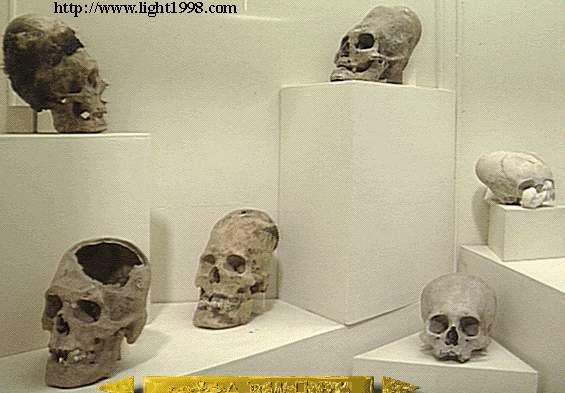 A well-known anthropologist declared that these remains showed that these man’s ancestors must have been giants. In Lampec-Rancho California, in 1833, soldiers discovered a skeleton 11′ 9” long which was covered with boulders with an unidentified writing. A similar writing was unearthed on the isle of Santa Maria off the cost of Los Angeles. In July of 1887 in Eureka Nevada, a human leg was found measuring 38.9 inches form the knee to the heel. 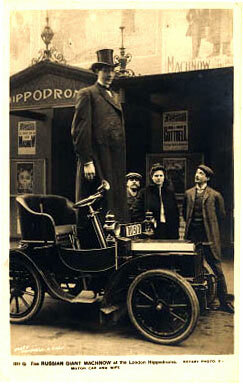 The man was over 11 foot tall. In Crittenton Arizona in 1891 a sarcophagus was uncovered containing a human 3 meters high and had 12 toes. More recently skeletons ranging from 2.8 meters to 3.12 meters were found by soviets in the Caucasus Mountains. In China skeletons 10 feet tall have been found. In the Philippines a giant human skeleton was found at gargation, Measuring 17 feet long. In the Eagle three Cole mine at Bear Creek Montana in 1920 two human molars were found three times larger than normal. In Braton Tennessee human footprints were found in solid rock 33 inches log and one foot wide. These also have six toes each. In 1833,soldiers digging a pit for a powder magazine at Lompock Rancho, California, hacked their way through a layer of cemented gravel and came up with the skeleton of a giant man about twelve feet tall. The skeleton was surrounded by carved shells, huge stone axes, and blocks of porphyry covered with unintelligible symbols. The giant was also noteworthy in still another respect :He had a double row of teeth, both upper and lower. When the natives began to attach some religious significance to the find, authorities ordered the skeleton and all the artifacts secretly reburied- and, of course, lost to the scientific study they deserved. This particular giant, incidentally, bore marked similarity to another, that of a giant man with double rows of teeth whose skeletal remains were dug up on Santa Rosa Island, off the California coast. Subsequent research has shown that he, or his descendants, feasted on the small elephants which once lived on that island and which have vanished like the giants who ate them, countless ages ago. Near Crittenden, Arizona, in 1891, workmen excavating for a commercial building came upon a huge stone sarcophagus eight feet below the surface. The contractor called in expert help, and the sarcophagus was opened to reveal a granite mummy case which had once held the body of a human being more than twelve feet tall -a human with six toes, according to the carving of the case. But the body had been buried so many thousands of years that it had long since turned to dust. 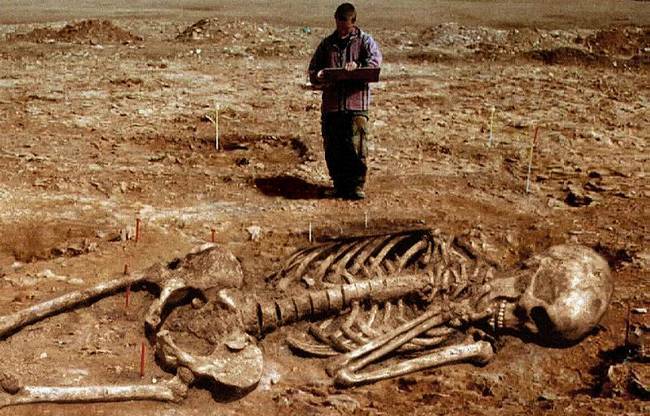 Just another silent witness to the truth of Genesis, which tells us that there were giants in the earth in those days, the excavation of over a dozen skeletons 8 to 12 feet tall, around the world, shocked archeologists. These skeletons were positively human. Some of these skeletal remains are on Maui in lava caves near Ulupalakua and Olowalu. An example of this is the “mysterious” disappearance of more than 50 perfectly kept gigantic antediluvian skeletons (between 10-14 feet tall) found in a cave in Arizona. A decayed human skeleton claimed by eyewitnesses to measure around 3.28 metres (10 feet 9 inches tall), was unearthed by labourers while ploughing a vineyard in November 1856 in East Wheeling, now in West Virginia. A human skeleton measuring 3.6 metres (12 foot) tall was unearthed at Lompock Rancho, California, in 1833 by soldiers digging in a pit for a powder magazine. The specimen had a double row of teeth and was surrounded by numerous stone axes, carved shells and porphyry blocks with abstruse symbols associated with it. Several mummified remains of red haired humans ranging from 2-2.5 metres (6.5 feet to over 8 feet) tall were dug up at Lovelock Cave, (70 miles) north-east of Reno, Nevada, by a guano mining operation. 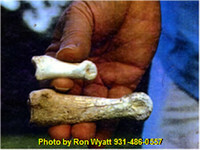 These bones substantiated legends by the local Piute Indians regarding giants which they called Si-Te-Cahs. For some reason scientists did not seem to want to investigate these finds further so many of the bones were lost. Fortunately one of the giant Lovelock skulls is still preserved today. It measures almost 30cm (1 foot) tall and resides along with other various Lovelock artifacts in the Humboldt Museum in Winnemucca, Nevada. Some of these artifacts can also be found in the Nevada State Historical Society’s museum at Reno. (a) Petrified bodies of two human beings about 18 and 15 feet in height respectively. One of these is buried under a recent rock fall which would require several days’ work to remove; the other, of which Mr. Hubbard took photographs, is in a crevice of difficult accessibility. The bodies are formed of a limestone petrification embedded in sandstone. (b) An ancient beach, now sandstone, containing a great number of footprints of a giant race, men, women and children; the prints of adults about 17 to 20 inches in length, and corresponding in size and shape to the Carson City and Blue Ridge prints. According to a press clipping, dated Nayarit, Mexico, May 14, 1926, Capts. D. W. Page and F. W. Devalda discovered the bones of a race of giants who averaged over ten feet in height. Local legends state that they came from Ecuador. Nothing more has been heard of this, but that is not surprising; the word “giant” will flutter the feathers of any scientist into rapid flight, metaphorically speaking, in the opposite direction. So also with a report from the Washington Post, June 22, 1925, and the New York Herald-Tribune, June 21, 1925. A mining party, it is reported, found skeletons measuring 10 to 12 feet, with feet 18 to 20 inches long, near Sisoguiche, Mexico. The Los Angeles Times, October 2, 1927, says that explorers in Mexico located large human bones near Tapextla, indicating a race of “gigantic size.” All this, if unfounded, would be straining coincidence or imagination pretty far. In the late 1950’s during road construction in Homs southeast Turkey, many tombs of Giants were indeed unearthed. These tombs were 4 meters long, and when entered in 2 cases the human thigh bones were measured to be 47.24 inches in length. They calculated that the person who owned this Femur probably stood at fourteen to sixteen feet tall. 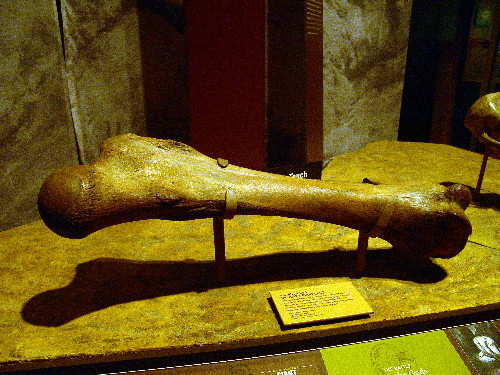 A cast of this bone is seen at the Creationist museum in Texas. Flavius Josephus, the noted Jewish historian of the first century A.D., described the giants as having “bodies so large and countenances so entirely different from other men that they were surprising to the sight and terrible to the hearing.” And he adds that in his day, the bones of the giants were still on display!